Some of the first evidence of urban agriculture comes from Mesopotamia, where farmers set aside small plots of land for farming within the city’s walls. 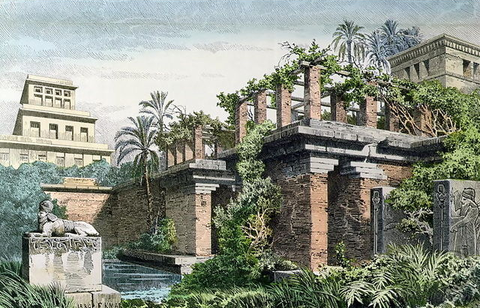 And, although the Hanging Gardens of Babylon, one of the 7 wonders of the ancient world, have never been found, there is lots of historical evidence that elaborate gardens and irrigation systems were integrated into several ancient Mesopotamian citadels. In ancient Egypt, fruit and nut trees were a major part of urban gardening efforts, used not only to provide shade but to provide extra subsistence and greenery within growing cities. They were also integrated into holy spaces and tombs. Aztecs built a complex garden plot and canal system, tied to their irrigation waterways, called chinampas. 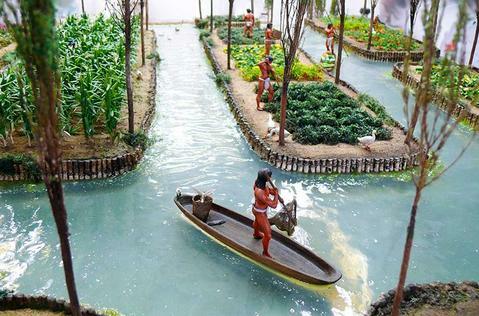 The chinampas started as small-scale “floating gardens” maintained by farmers, but eventually they were implemented on a large scale and within urban areas to sustain the growth of the expanding Aztec empire. After a long period of industrialization, London had become not only a global hub, but a hotbed of slums, poverty, and inequality. 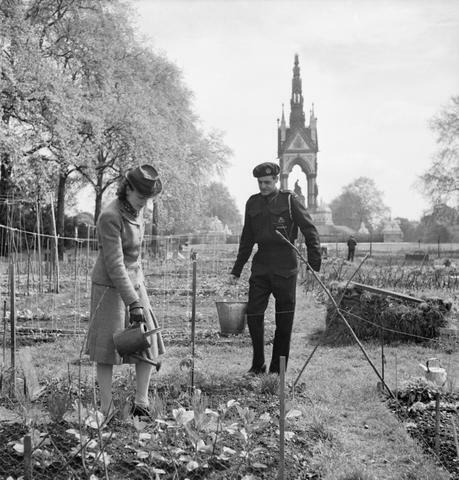 Allotments and public parks were introduced in the 1920s to maintain adequate amounts of land within the city for residents to use, usually for a small fee. Organized allotment gardening was started with the “Schreber Movement” in Leipzig. The goal was to save green spaces within the city for children to play in nature. 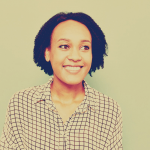 This movement eventually became more oriented around growing edible gardens in urbanized areas. The importance of allotment gardens or “Kleingärten” grew during the World Wars I and II, out of necessity. During World War I and World War II, most supplies and food were prioritized for the war effort, leaving many at home to deal with scarcity. 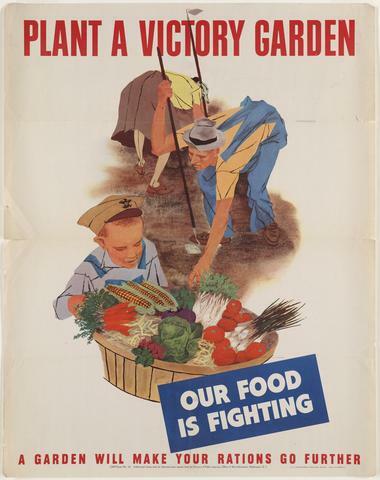 In order to boost food supplies, many countries promoted “Victory Gardens” or “war gardens”, or gardens cultivated by citizens on private and public land. Besides alleviating the strain on the public food supply, it also was seen as a way to boost morale and patriotism. In the US, Victory gardens were responsible for about 41% of all consumed vegetable produce in the year 1943. Today, Japan is at the forefront of innovation in urban gardening and farming. Within the urban sprawl, it’s not uncommon to find rooftop paddy fields and bee farms, vegetable gardens under the Tokyo metro, and even farms with animals taking up the entire floor of a skyscraper. 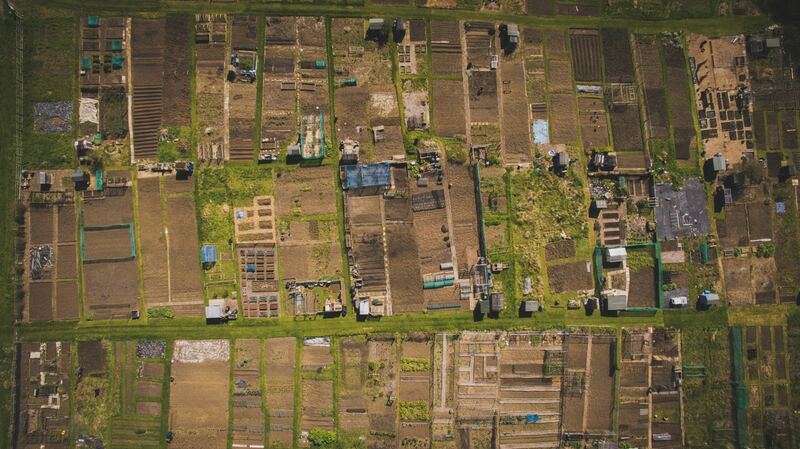 Overall, urban farming in Japan has grown by 36% in the last 10 years.